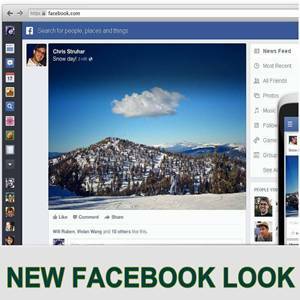 Facebook has test launched new look and design which is more clear, more beautiful and more user friendly. Facebook is continuously adding many new things to compete with other social networks, to attract new users and to comfort existing users. 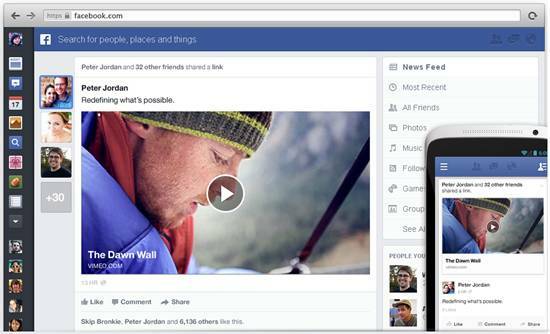 Facebook is going to launch a totally new look to its wall by getting rid of all the boring and irrelevant stuff. So far Facebook has launched this new version for the computers on invitation basis. You can send request for invitation to try this new version of Facebook News Feed. It is hoped that this new look will soon be available to all users. 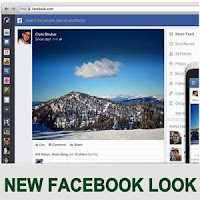 Facebook is also committed to launch the same new look for iPhone, iPad and Android devices very soon. The new design will eliminate clutter and add beauty to stories, images and videos. Currently you can only sort your feed by "Top Stories" or "Most Recent" but after adopting this new design, you will be able to sort with few more options. You will get Facebook just how you want it with your choice of feeds. Its vibrant new colour schemes will bring your news feed to life. Once it will be available top all devices and Operating Systems, you will see same clean and brighter look wherever you use Facebook; on web, mobile or tablet. You can send request to join "Waiting List" to get the new home page.